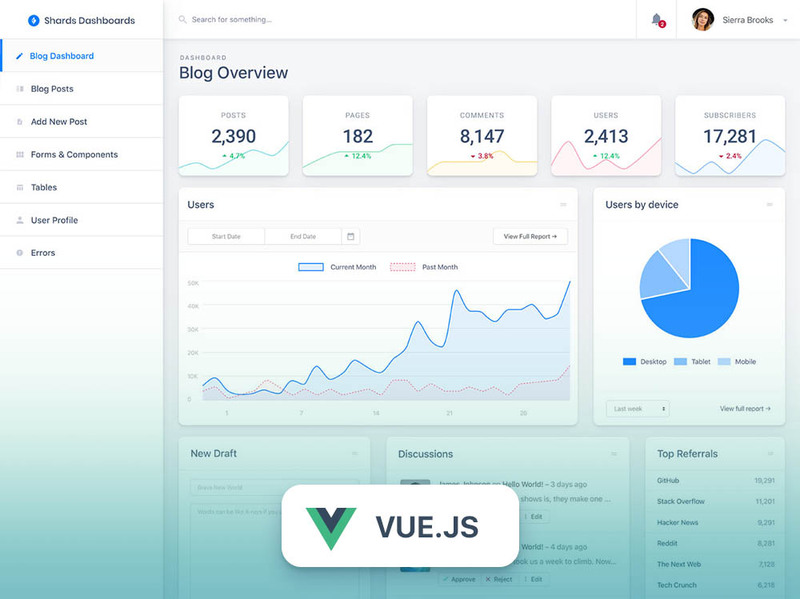 A free Vue admin dashboard template pack featuring a modern design system and lots of custom templates and components. Shards Dashboard Lite Vue features a minimal footprint and is highly optimized for blazing-fast performance. Shards Dashboard Lite Vue is built from scratch while following modern development best practices. 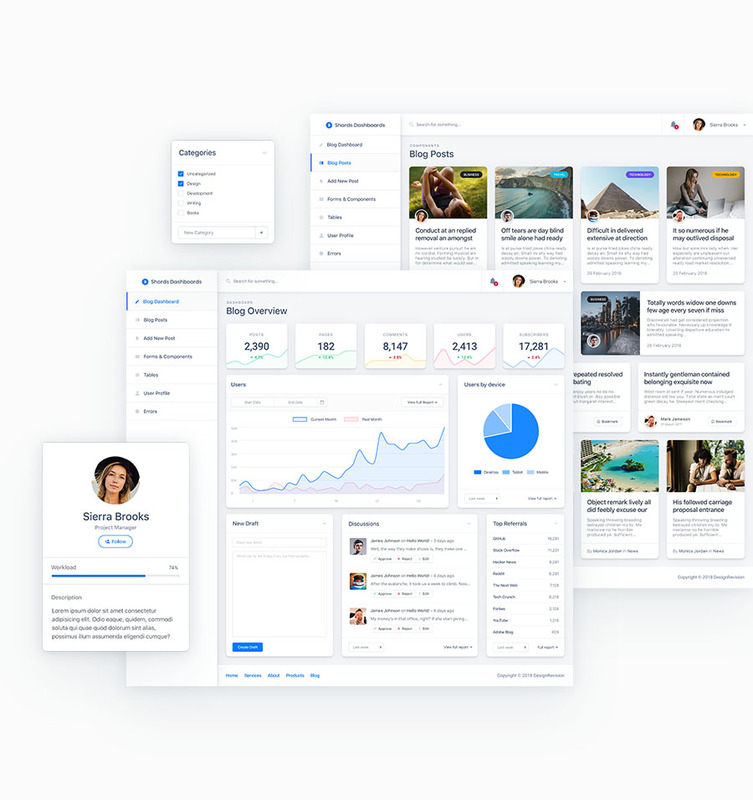 A premium & high-quality Vue admin dashboard template pack.